Janey guest posting for Pablo below. Our kids are not allowed to eat ketchup. When people hear about this, sometimes they completely freak out and it takes a while for us to explain the reasoning behind it. I call it the ketchup manifesto. 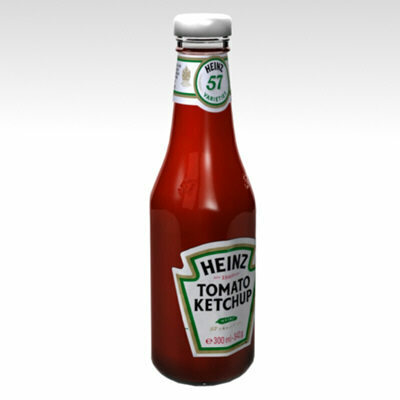 Ketchup is full of salt and high fructose corn syrup. When you put ketchup on a food, you don’t taste the food, you taste the ketchup. Salty/sweet combos, in my opinion, are addictive and make you want more. Thus, ketchup can lead to overeating. Kids who are ketchup addicts refuse to eat food without it and often do not eat foods that don’t go with ketchup. In fact, we think that ketchup ruins a person’s ability to taste subtle and complex flavors. It ruins your palette. Keeping ketchup out of our lives is easy for Pablo. He hates the stuff. I have never seem him eat it, ever. He enjoys mayonnaise on his fries. But I love ketchup. It was really hard for me to give it up. But after I stopped eating ketchup, I realized that I don’t like french fries. I cut down on hot dogs and burgers. I ate healthier. Matilda has eaten ketchup before. They serve it with some meals at school. We turn a blind eye to it but we do not allow her to have it at home. When she wants to dip her nuggets or fries in something we offer her home-made balsamic vinaigrette, teriyaki sauce, honey mustard, duck sauce, marinara sauce, or fruit puree. I compare our thing with ketchup to sugary drinks. A generation ago, small children were given Kool-Aid, High-C, and even Coca-Cola. People of this generation have a hard time drinking water. They need drinks with flavor. And many of us got fat. Now, parents give their kids juice diluted with water. Heck, some kids are not allowed to have juice either.